How many of you can speak atleast 2 languages fluently? I can speak 4 languages fluently. I write in 3 different languages. I write poems in two different languages, but i sign in only language (English). :) I will give you a +. Do respond to my discussions. Cheers and have a great day! You dont speak english? I am surprised. Anyways two language is not bad either. Je peux parler l'anglais (ma langue maternelle) et aussi le francais. Je parle l'allemand assez bien et je sais un peu d'arab et hindi. I can speak English (my mother tongue) and French as well. I speak German quite well and I know a little Arabic and Hindi. Enough of tbe bilinguals! I think it is interesting to note the complacement attitude of my fellow British in learning languages. They are no longer compulsory after 14 and yet to be mutlilingual is necessary in a globalised economy. A language is a wonderful thing - it leads you to the whole culture of that country. Thanks for your post. IN america, we say: If You Speak Two Languages, You Are Bilingual. If You Speak One Language, You Are American. The United States continues to neglect and fails to utilize its many cultures and languages. These languages and cultures are valuable resources that can be used to prepare students for the international competitive economy. School boards must decide what role bilingual and multicultural education will play. Critics charge that bilingual and multicultural education are unnecessary, expensive, and threaten American education. But an increasing percentage of students require bilingual education. The problem is indeed that cost is seen as the most important factor yet in real economics the decision to be made is do the benefits of laying the money out outweigh the financial cost and as regards this vital economic skill in the modern world they unquestionably do. You are absolutely correct. Thanks again for posting. Nagamese is not a language. it is a dialect. But three is gr8 in indeed. So,you are Trilingual. Thanks for posting. Wow, Thats very Interesting. I wish I could say the same, but sadly I only write and speak in english. I would love to learn french, need to make time for that. Congrats thats really a great thing you can do!! French is not tough. 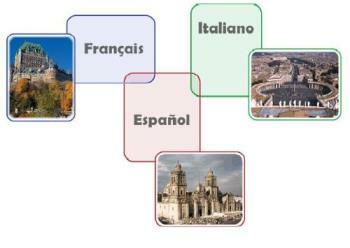 Infact a French, Spanish and Italian are very closely related. Thank you for your kind comment. Have a great day. Great!!. Havemt hard about brohi where is it spoken? Is it a langauge or a dialect? it is a language. mostly spoken in the Balochistan Province of Pakistan. Brohi is also knowns as Brahui. People who speak this language are called Brohis/Brahuis. I can. Romanian and english. Awesome going. We have 8 languages and counting. Common guys.. Lets hear more. I speak Spanish and English fluently. I used to speak German, but I moved back to the US about 16 years ago and havent had anyone to communicate with so I have lost the language skills. It might not take long to bring it back if I started using it again. I also started learning arabic last year, but I got busy with other things and did not complete my studies so I only know a few phrases. I enjoy languages though and may take it up again. I am fluent in hindi, marathi and english and bit ok with punjabi. Thats a wide range of indian langauges right there.. great going.. cheers. That is awesome man.. three languages of which two are hard, that pretty great going. I am bi-lingual. I speak our native language, tagalog and english. Most of the people in our country are bi-lingual as they also understand english, although most are not fluent. I also speak a little chinese (mandarin) and french. Which country are you from? Mandarina and french are both major langauges. SO youa re doing great 4 langauges somewhat treaded. Great going! Wow achyuta, 4 languages? I can only speak two, my native language - Filipino and English, my adapted language. In college we were taught Spanish and we could converse quite fluently with classmates as it was a required subject for 2 years. Then When I worked in Tokyo, I was able to converse with the Japanese in their language. Whilst in HK for 20 years, I was semi fluent in Cantonese only, not Mandarin. But after a few years back into my homeland, I have almost forgotten all of those languages, except my native tounge and English. i speak English and Bengali and of couse Hindi....and i m proud to say that i m fluent in all three.